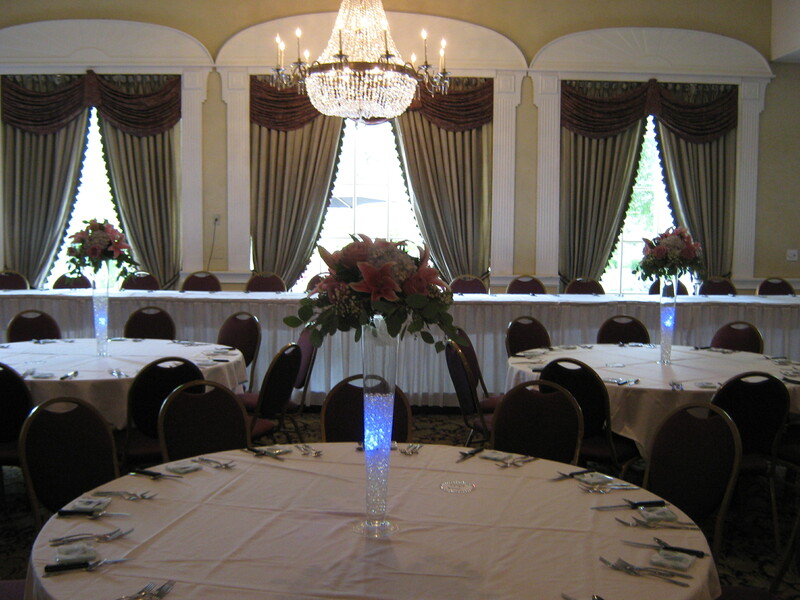 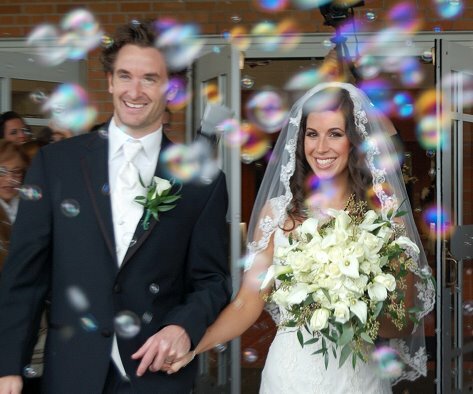 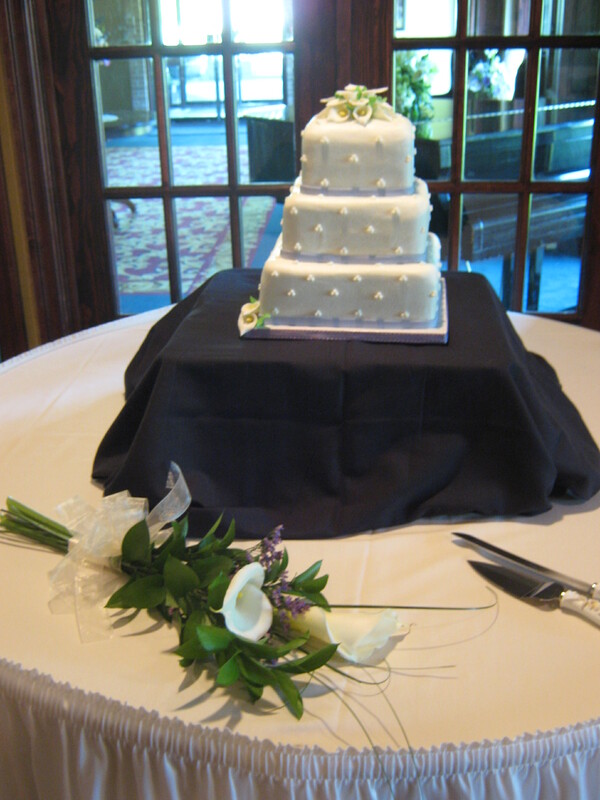 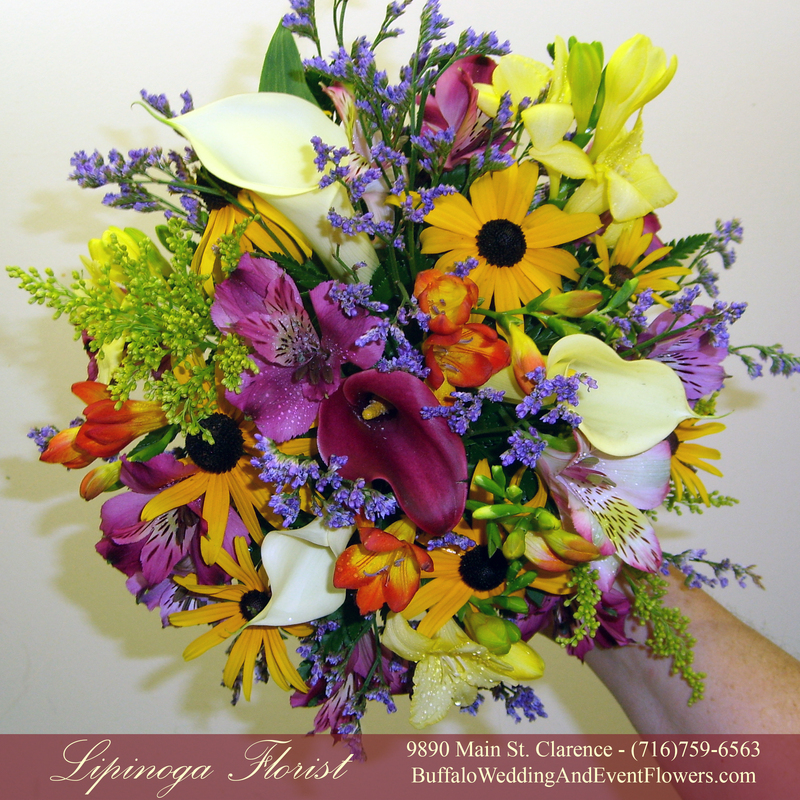 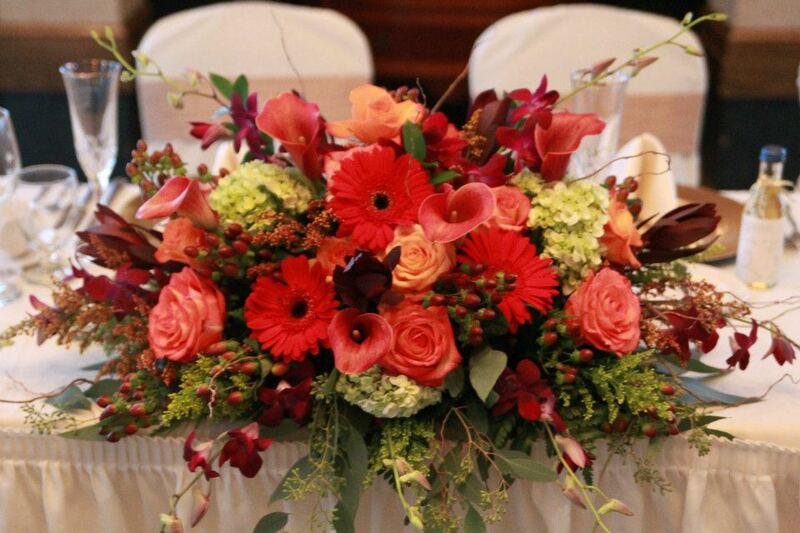 Lipinoga Florist created floral designs for a wedding at Lancaster Country Club. 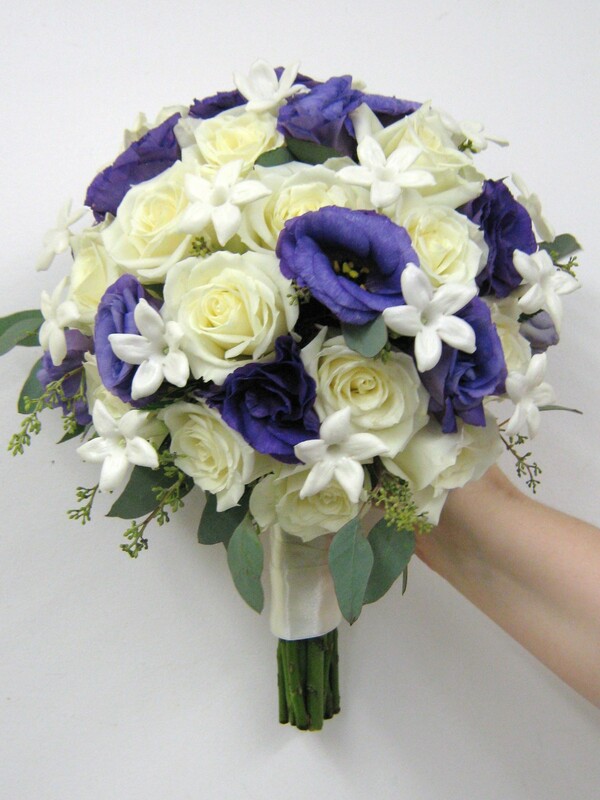 White and lavender flowers created a traditional pastel bridal look against black accents. 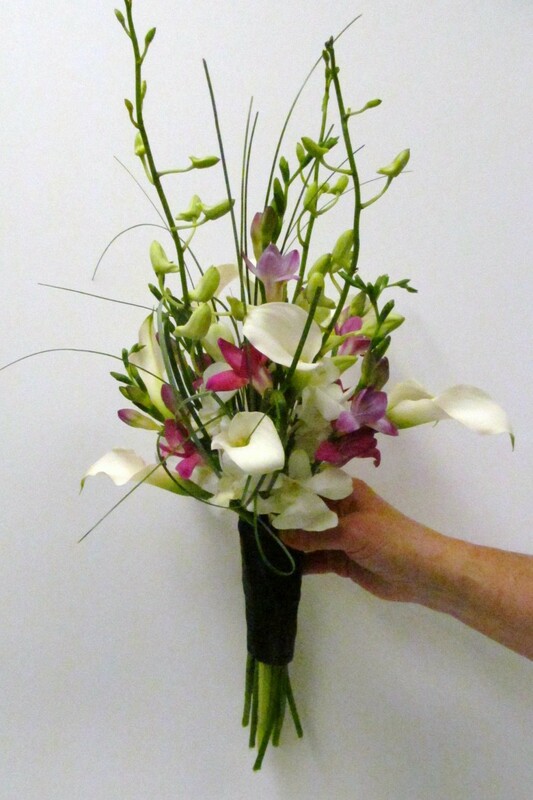 The bridal bouquet was a classic cascade style and included orchids, lilies, mini calla lilies and roses with greenery accents. 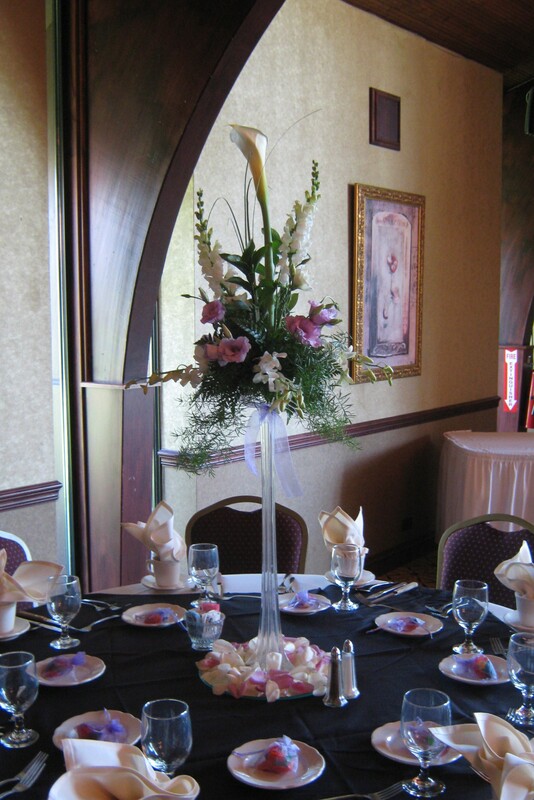 Tall Eiffel tower vases held a centerpiece of orchids, lisianthus, snapdragons and a large calla lily as a focal point. 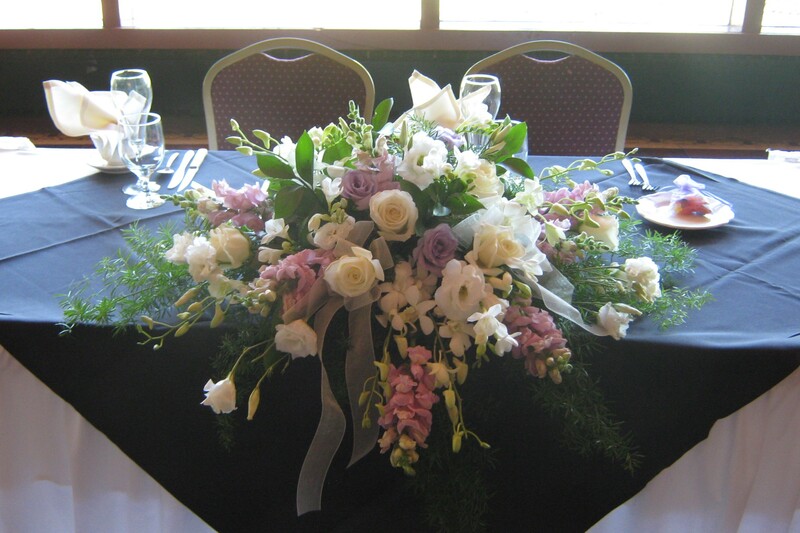 Tied with a lavender sheer bow the soft hues were set off by a black table cloth with pastel colored rose petals around the bottom of the centerpiece. 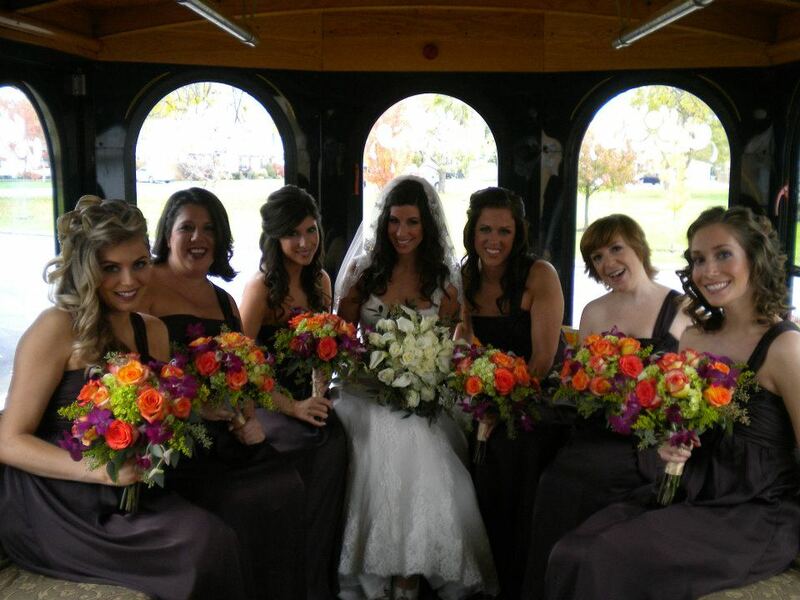 The bridesmaids carried free form bouquets of calla lilies, orchids and freesia wrapped in black satin ribbon. 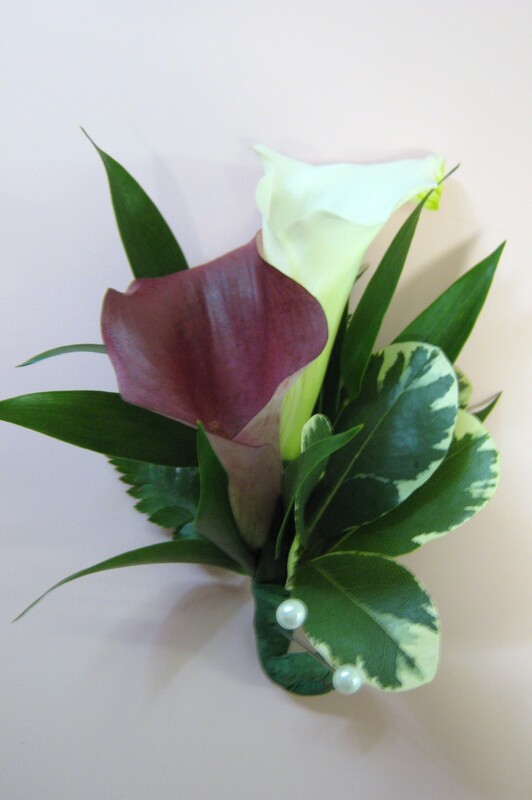 The groomsmen wore a white and lavender miniature calla lily boutonnière accented by greenery. 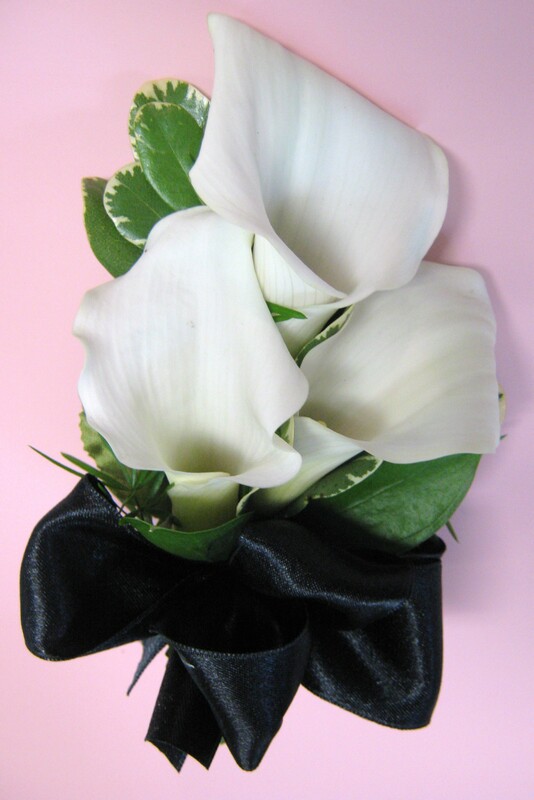 The mothers wore simple white calla lilies with a black satin bow. 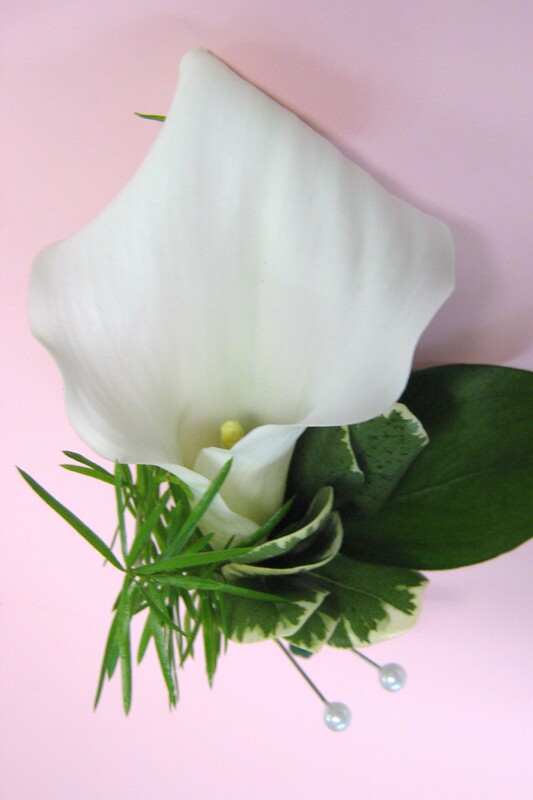 The fathers and grandfathers wore a single white mini calla boutonnière to match the mothers. 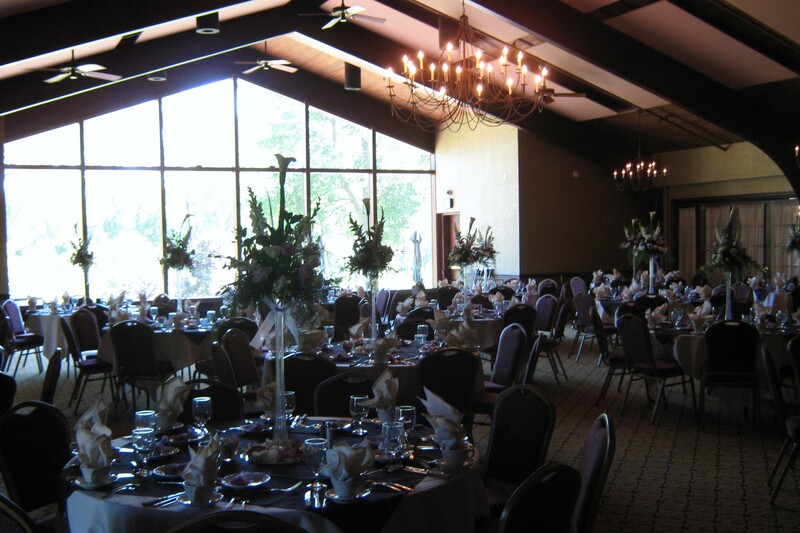 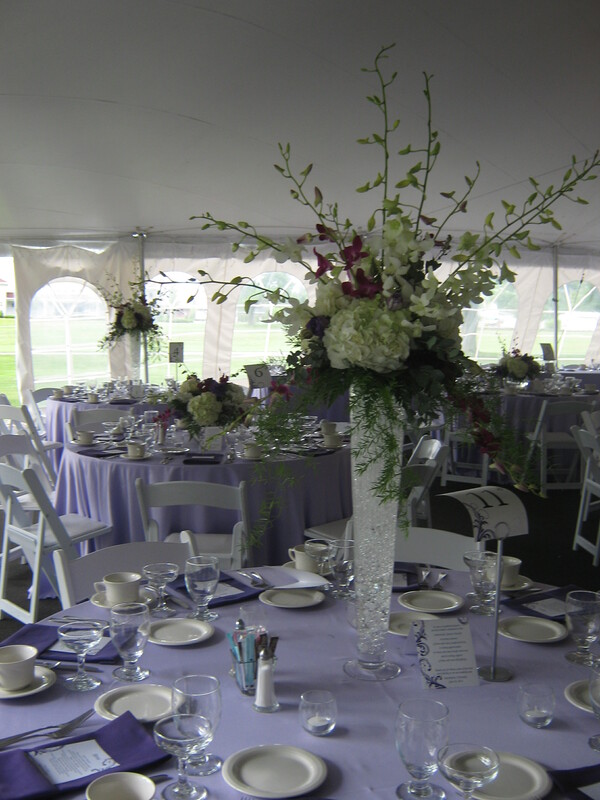 The tall centerpieces created a beautiful ambiance within the tall open space at Lancaster Country Club. 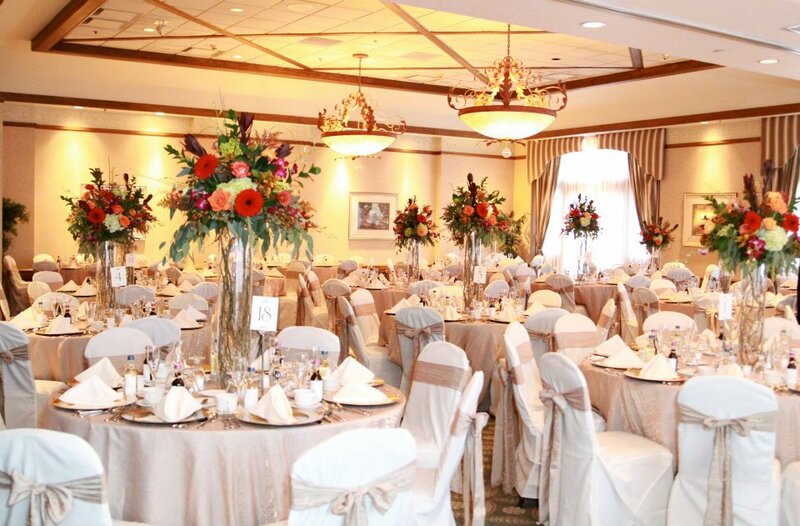 The sweetheart table was set in front of the large picture windows overlooking the golf course so we created a low centerpiece with trailing flowers and greenery created a picturesque focal point in the room. 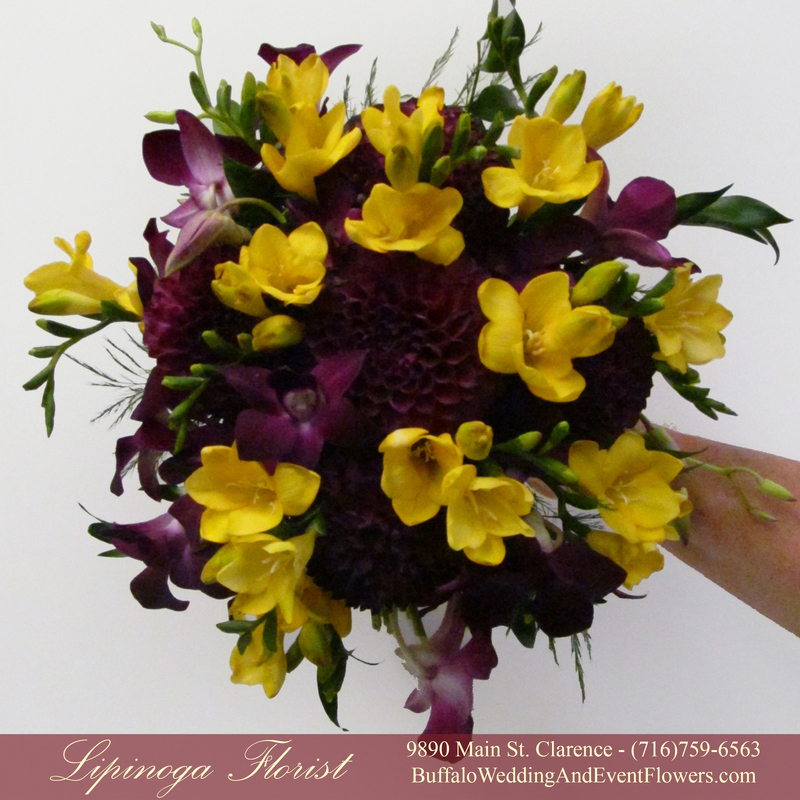 Lipinoga florist used snapdragons, freesia, roses, orchids and lisianthus in the sweetheart table flowers to follow through with the flowers in the bouquets and table centerpieces. 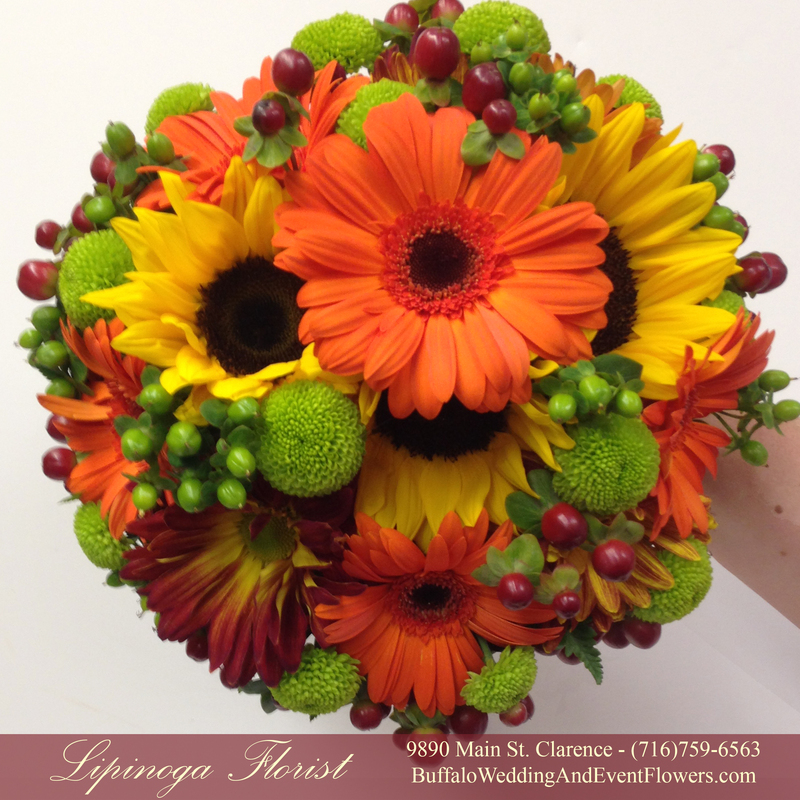 The design team at Lipinoga Florist created a gorgeous autumnal setting for this fall wedding at Westwood Country Club in Williamsville, NY. 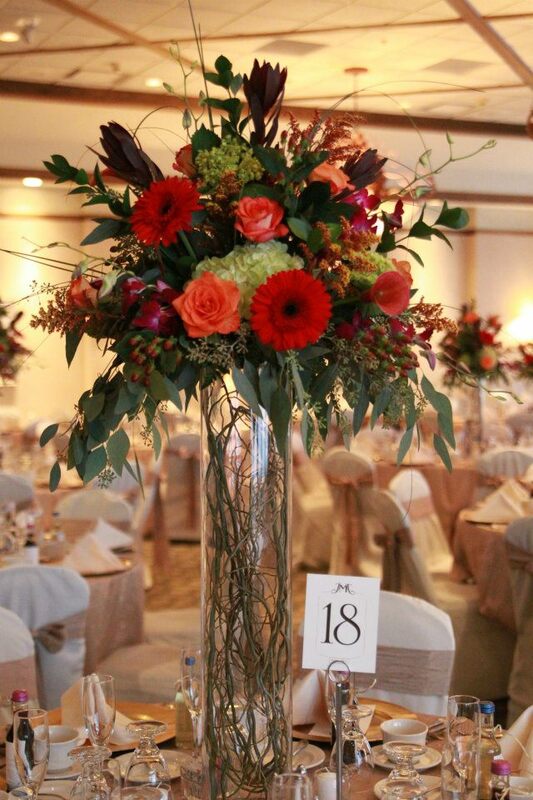 Tall cylinder vases filled with curly willow were topped with an extravagant display of fall flowers, greenery and berries to lend a rustic yet elegant touch. 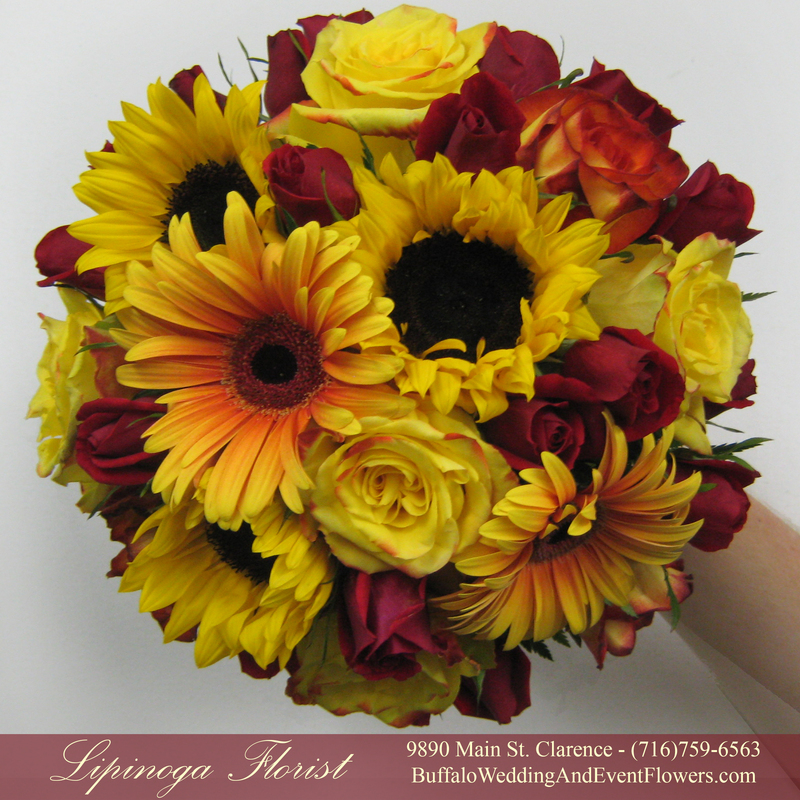 The bridesmaids carried a colorful mix of fall flowers to stand out against their chocolate brown bridesmaids’ dresses and the bride carried a classic white and ivory bouquet. 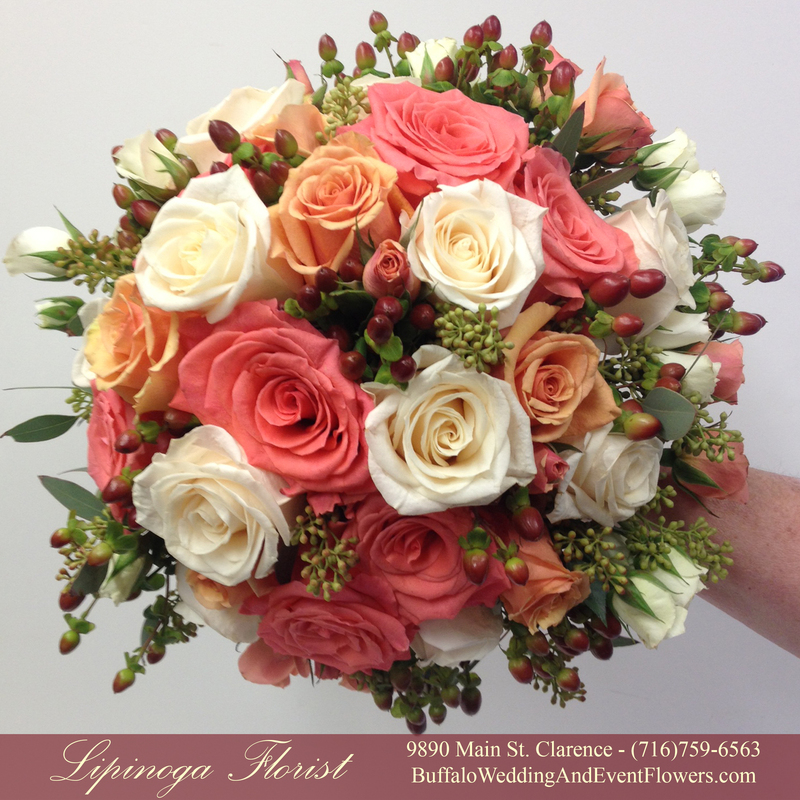 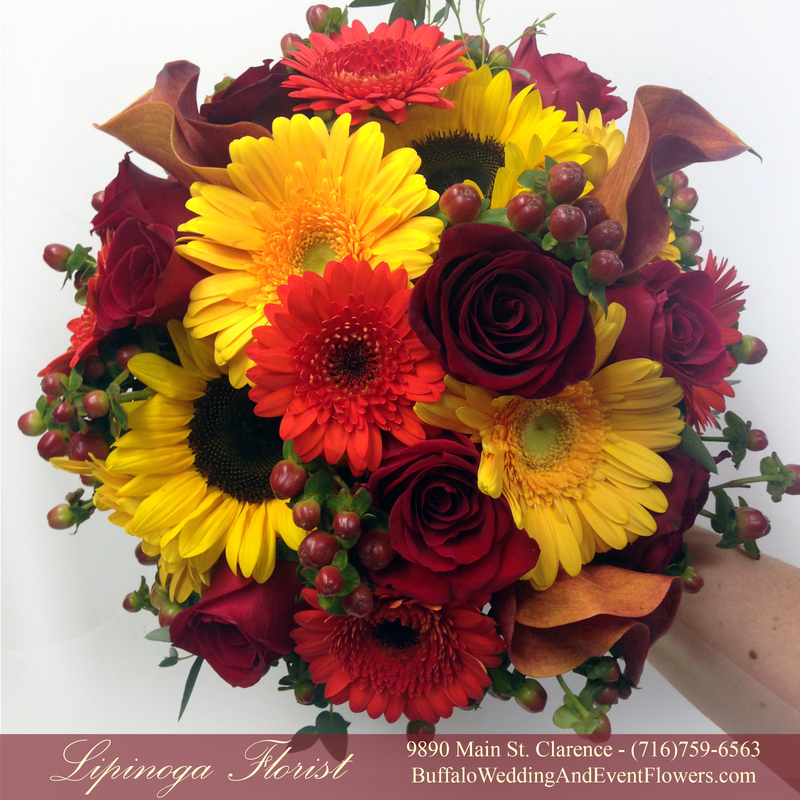 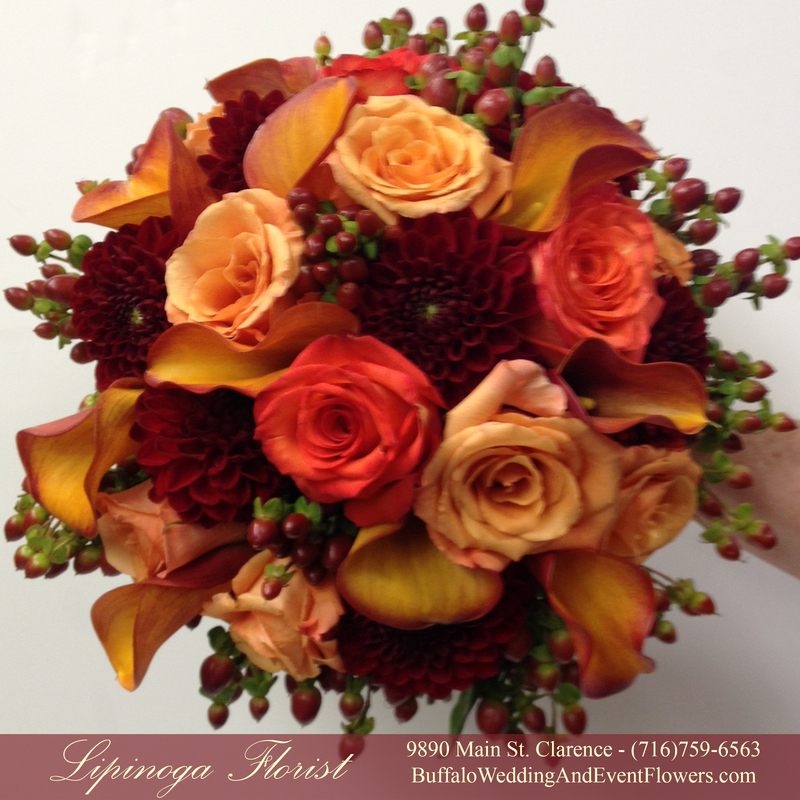 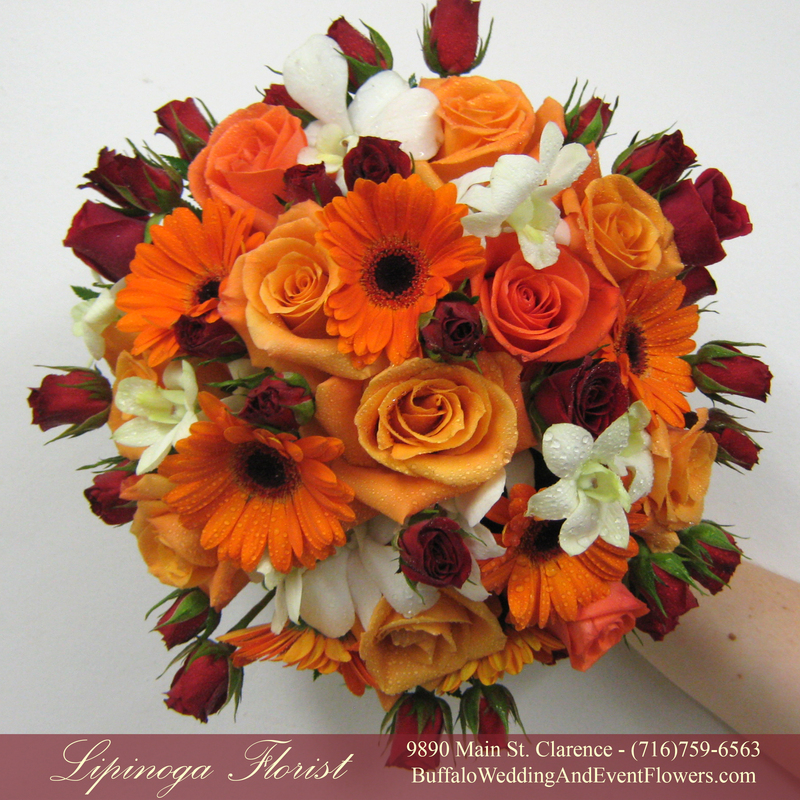 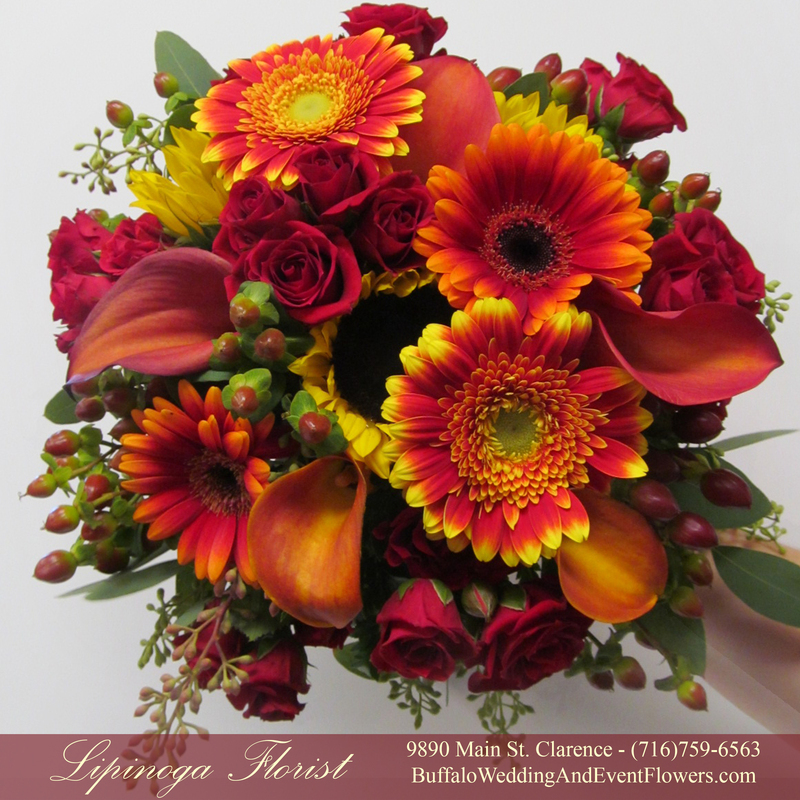 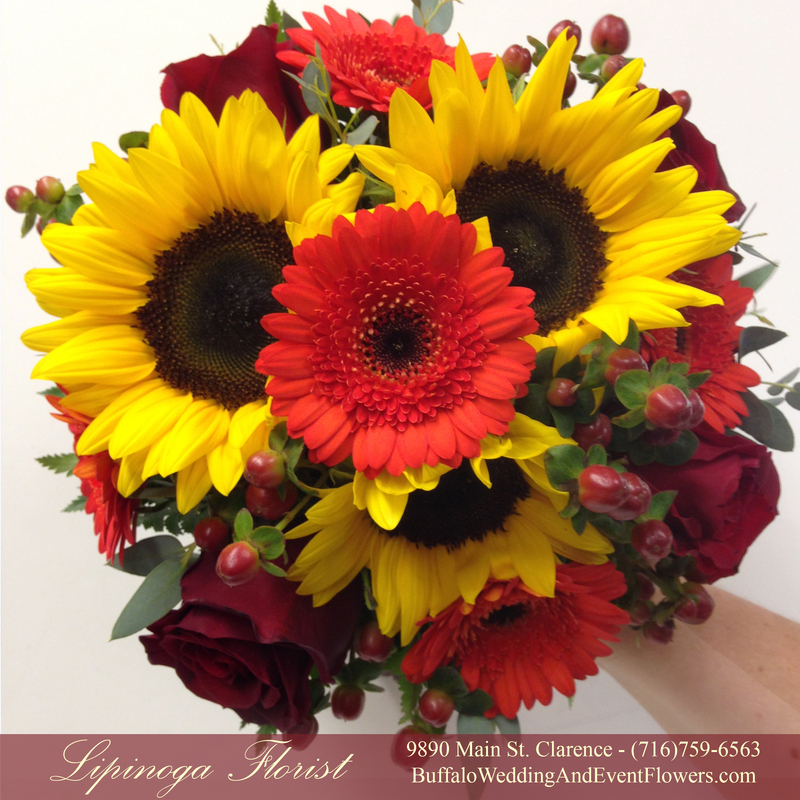 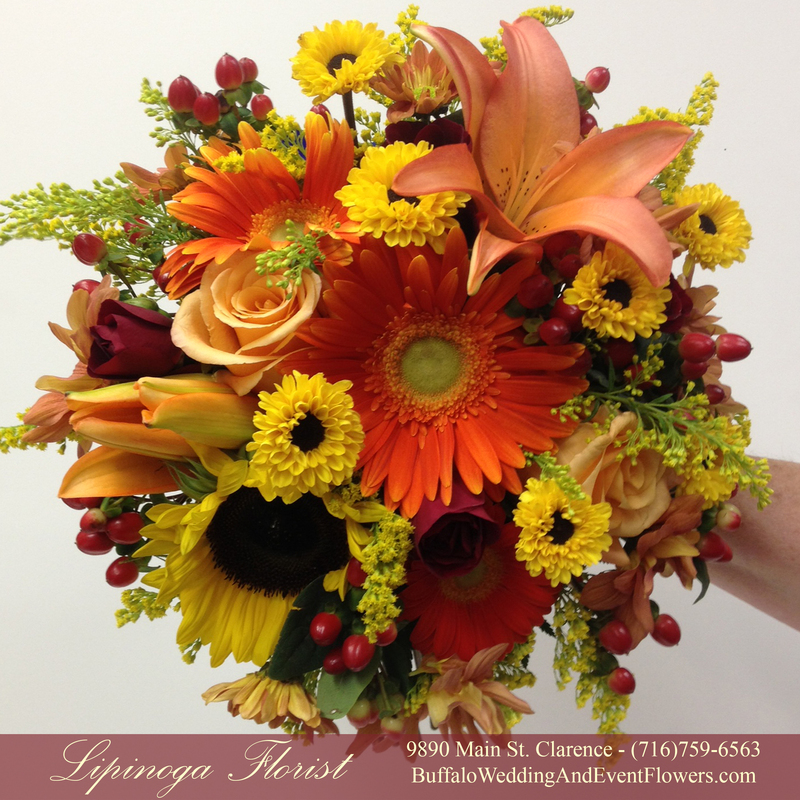 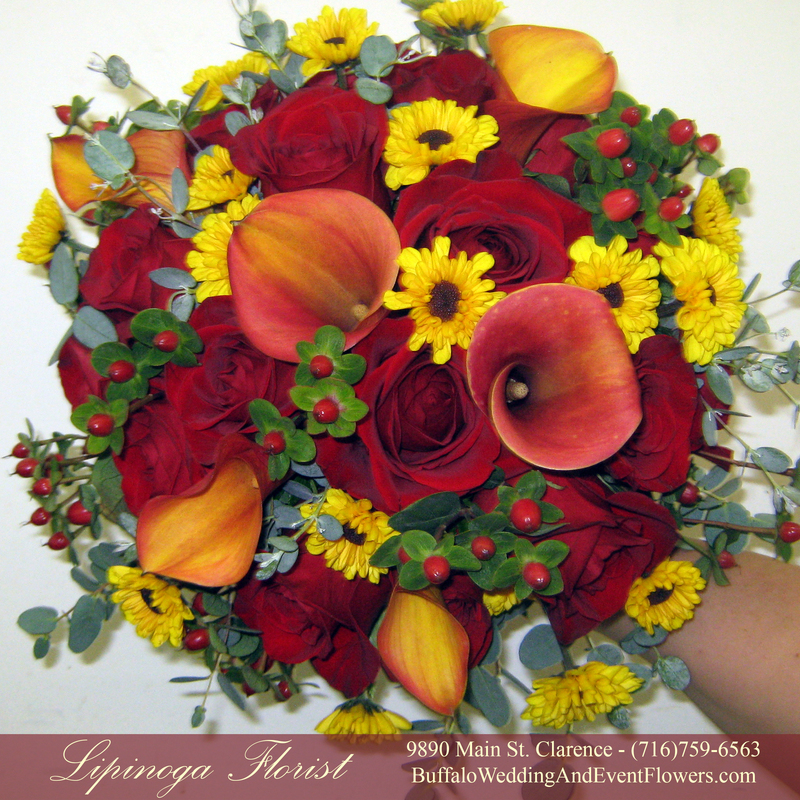 The elegant color scheme for the bouquets looks wonderful in photos and creates a beautiful setting in the mild Buffalo, NY autumn season. 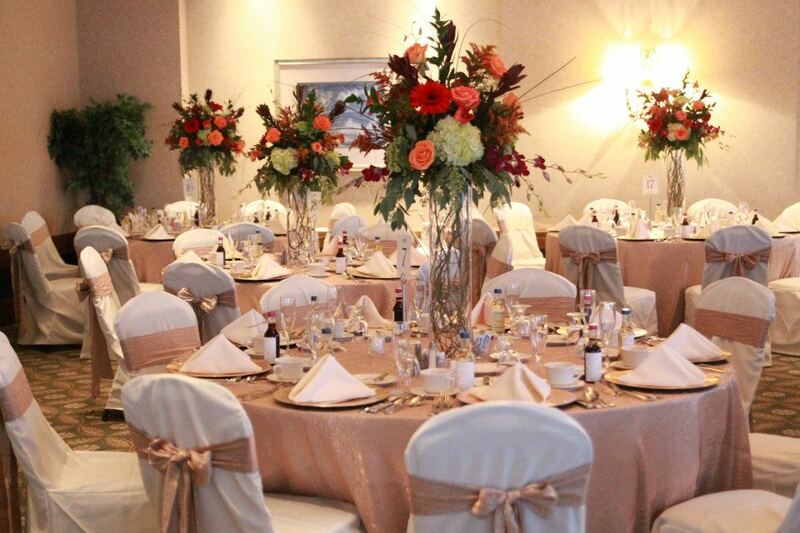 The tall centerpieces filled the room with an autumn atmosphere while still allowing guests to see through and enjoy in lively conversation. 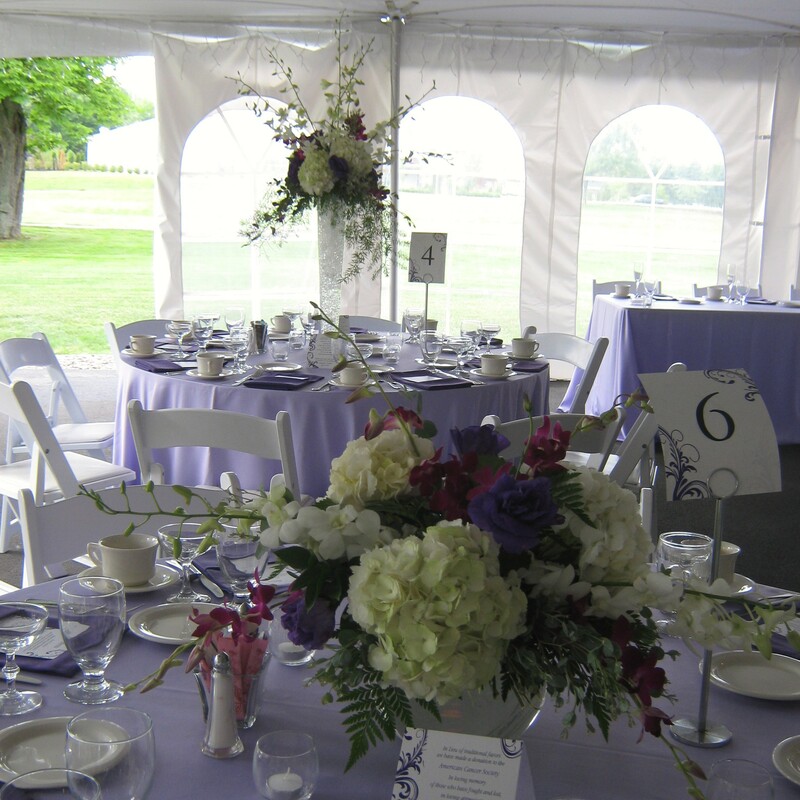 The head table was graced with an elegant long and low arrangement with flowers to complement the bridesmaids’ bouquets and the tall centerpieces. 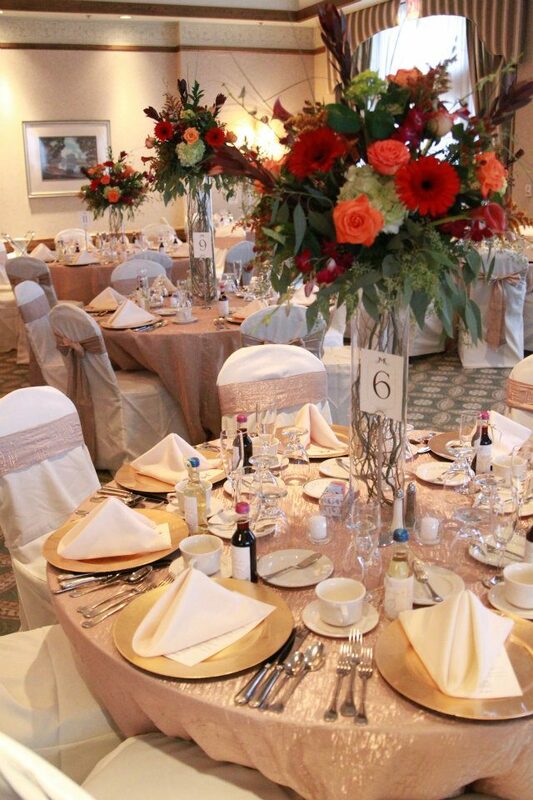 The hues worked wonderfully with the soft ivories and gold tones in Westwood Country Club. 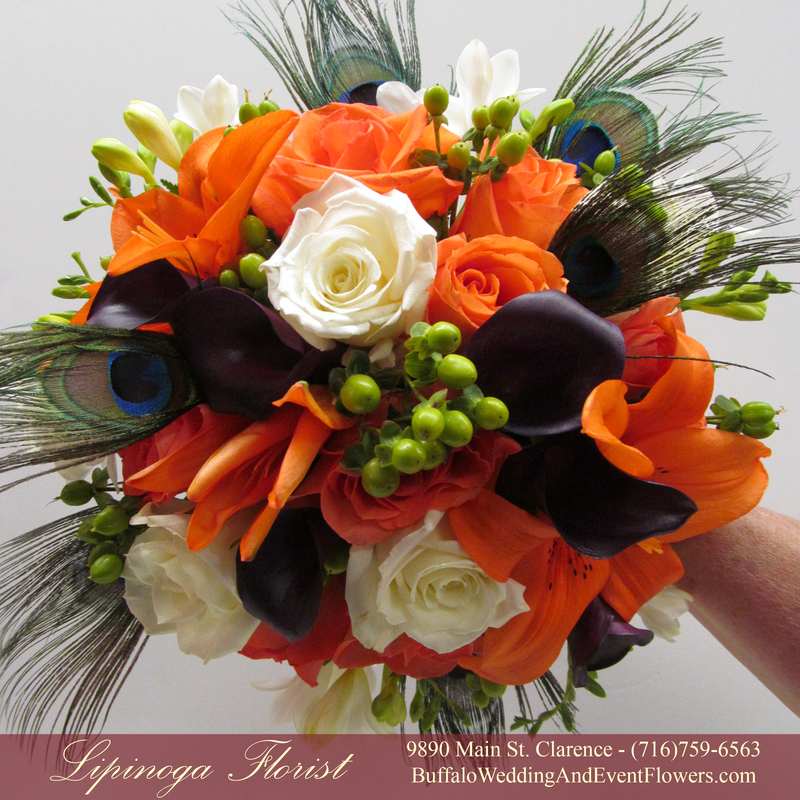 The bridesmaids’ bouquets featured orange bi-color roses, hydrangea and orchids with greenery accents. 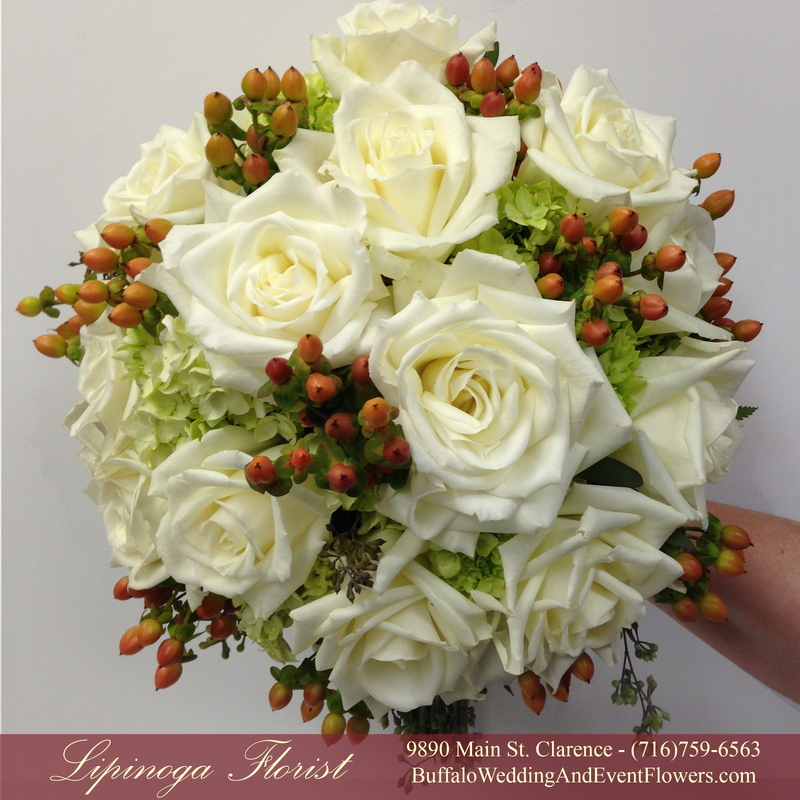 The bridal bouquet included hydrangea, roses and miniature calla lilies. 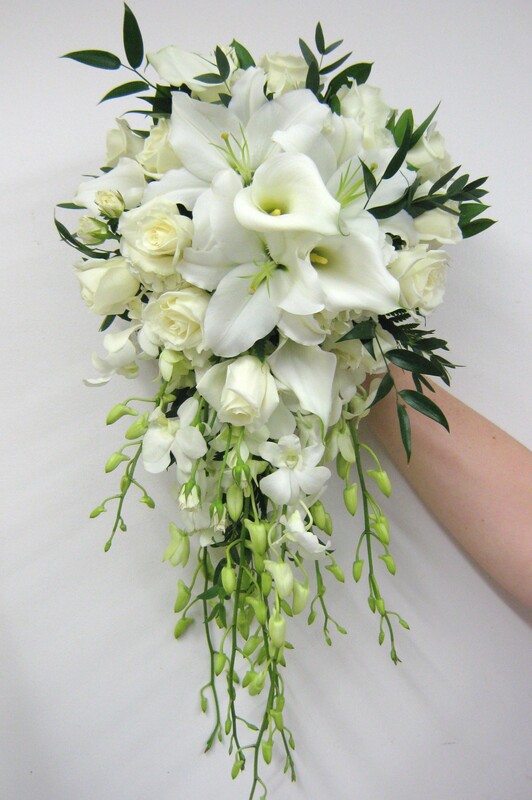 The groom wore a simply elegant white calla lily. 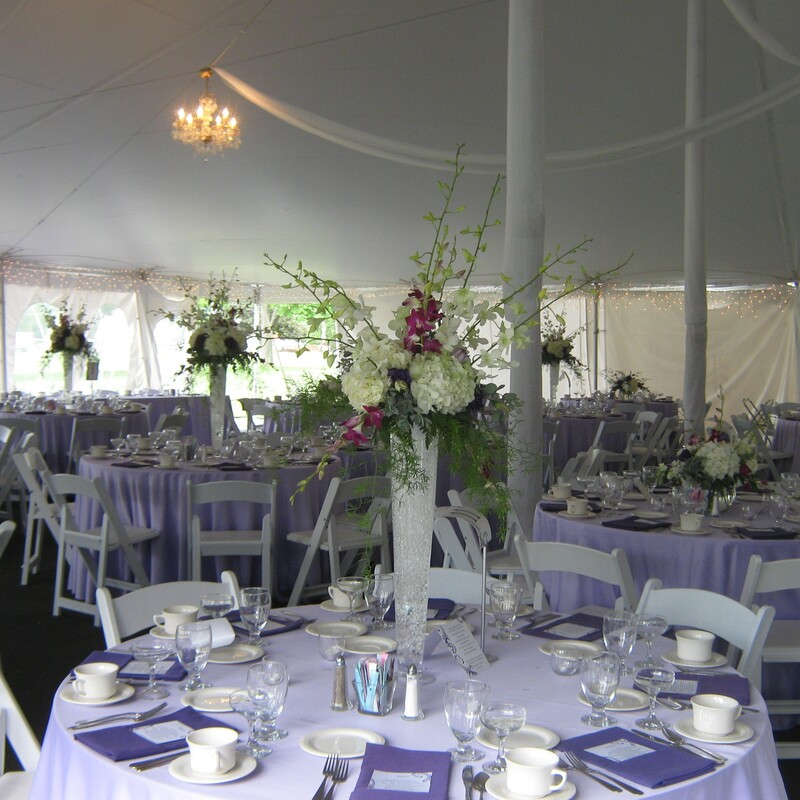 Lipinoga Florist designed a beautiful combination of lavender, white and purple flowers for a wedding at the Avanti Mansion in Hamburg, NY. 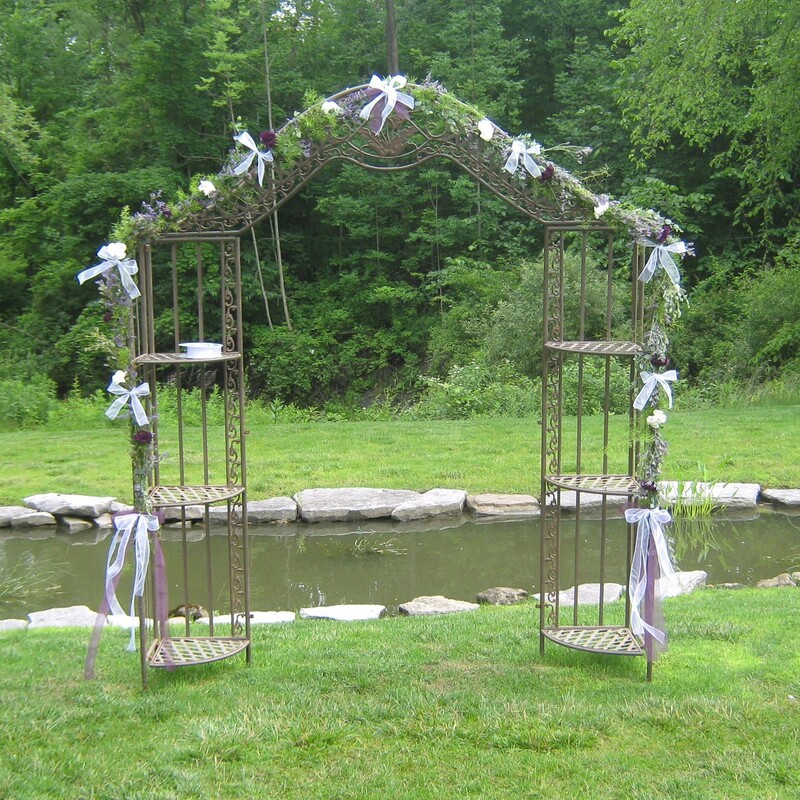 Both the wedding ceremony and reception were held outdoors, the ceremony was held by the pond and the reception under a tent on the Avanti Mansion grounds. 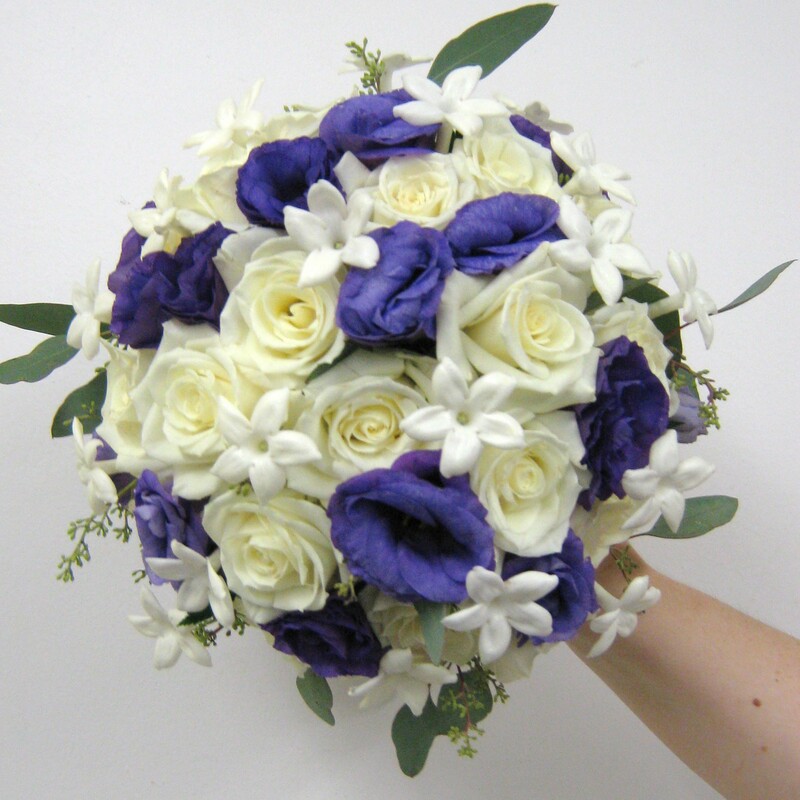 The bride carried a bouquet made by owner, Nancy Lipinoga, which included white roses, purple lisianthus and white stephanotis. 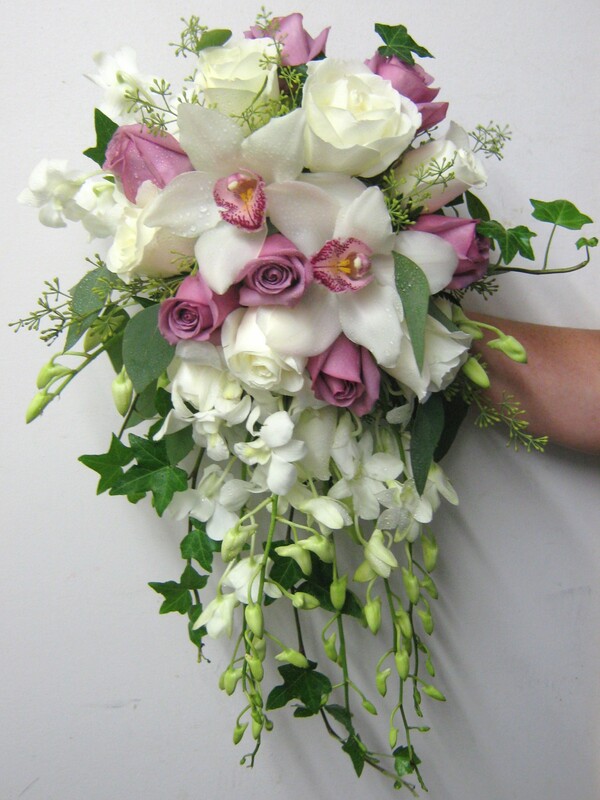 The bridesmaids carried bouquets of orchids and lisianthus. 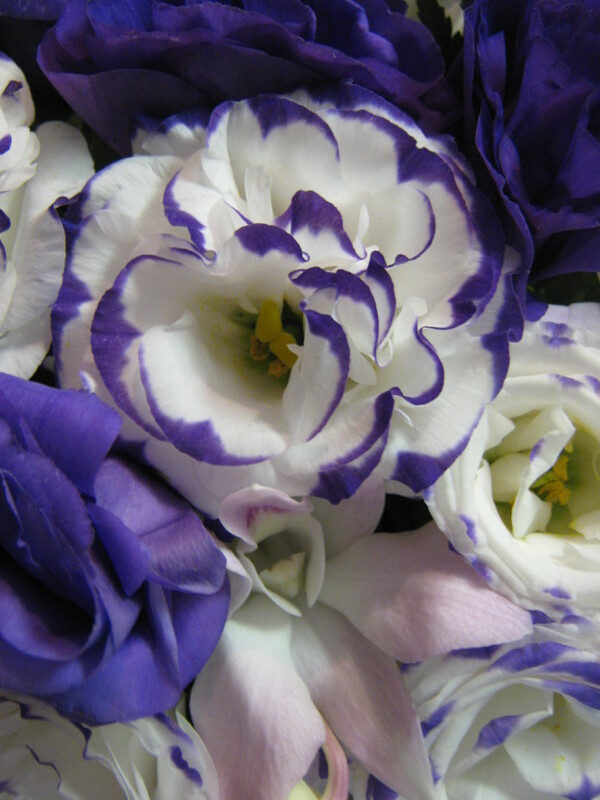 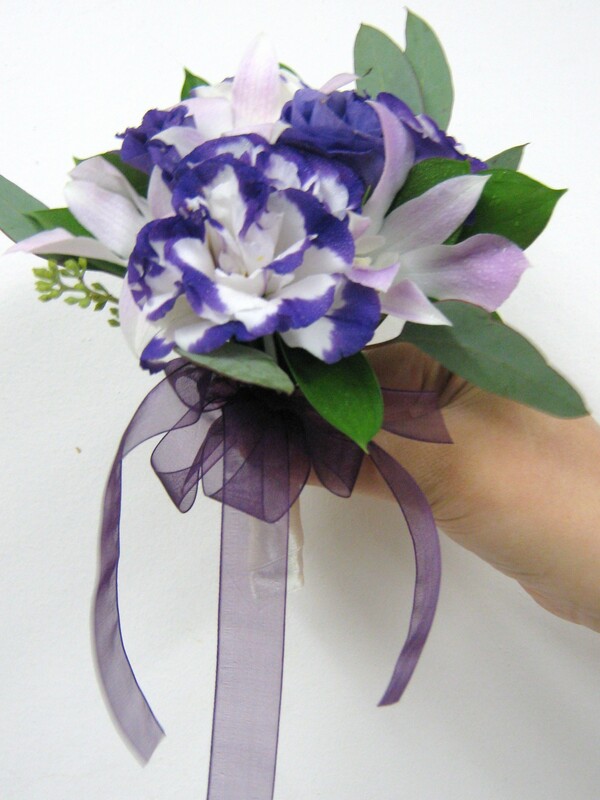 The flower girl carried a small nosegay of lavender orchids and purple edged lisianthus accented with a plum ribbon. 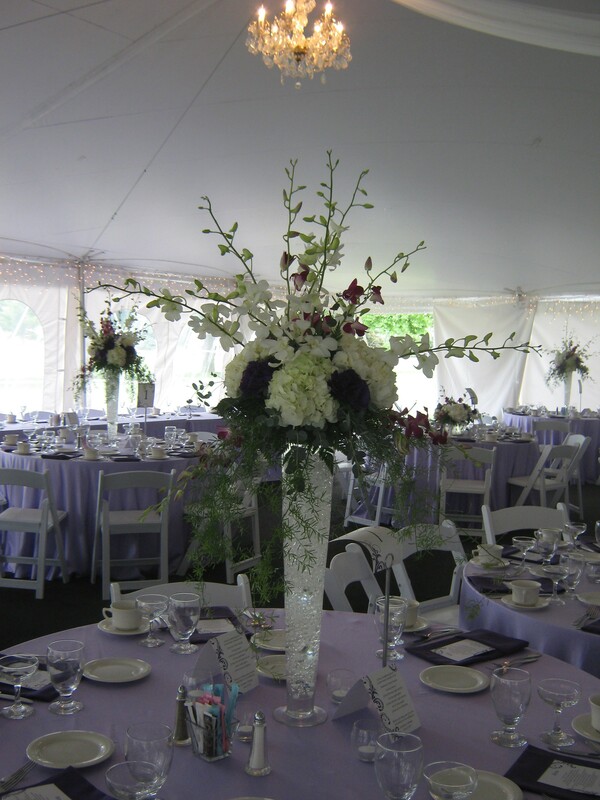 Tall centerpieces in pilsner vases with a combination of orchids, hydrangea and lisianthus made a striking statement in the tent. 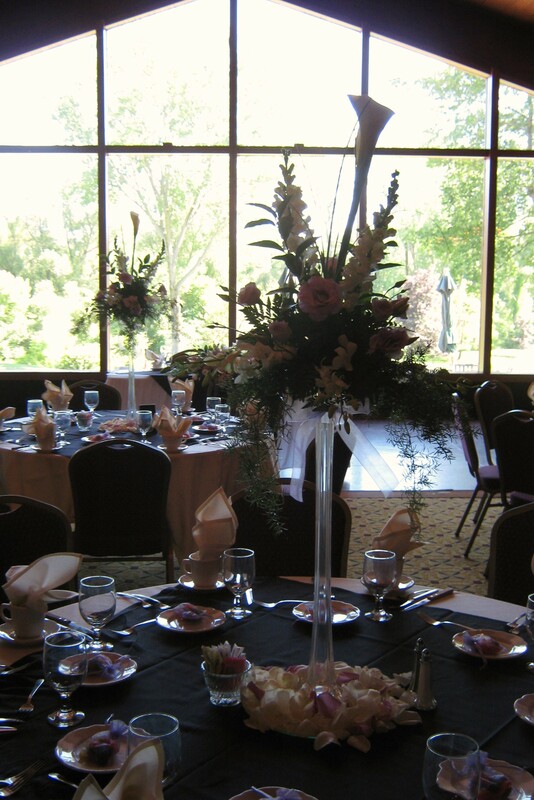 Tables alternated between tall and low arrangements so flowers captured your eye no matter where you looked in the reception area. 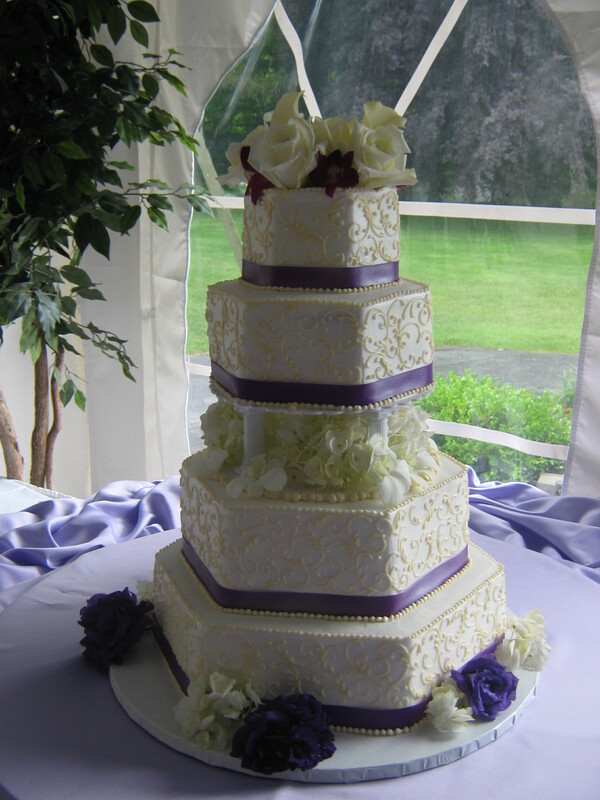 An elegant cake by Ohlson’s Bakery, was accented by fresh lisianthus and hydrangea to follow through with the color scheme. 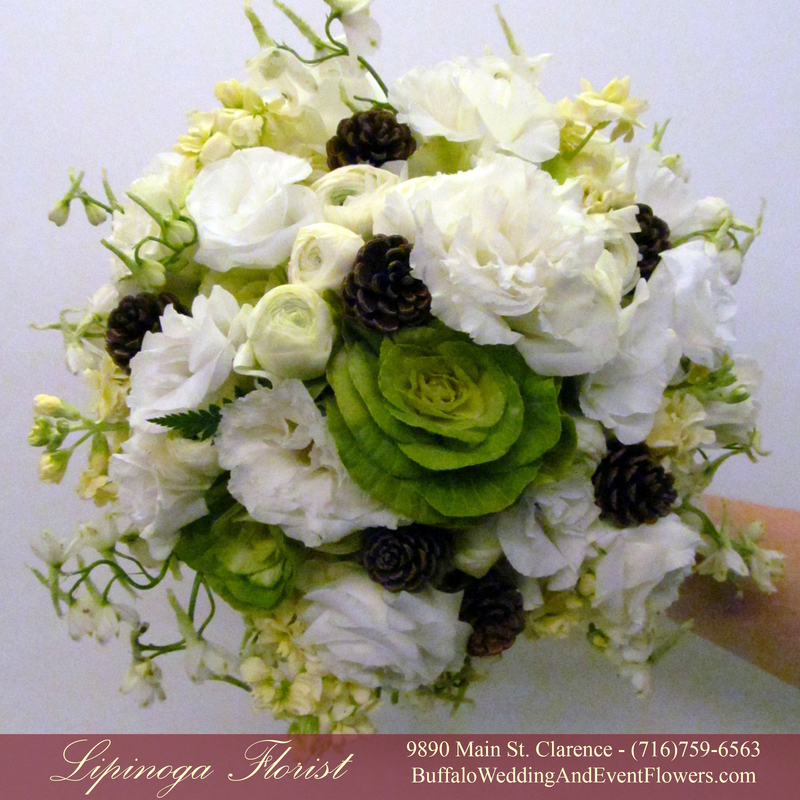 The ceremony area was accented by lisianthus and mixed greenery with white bows. 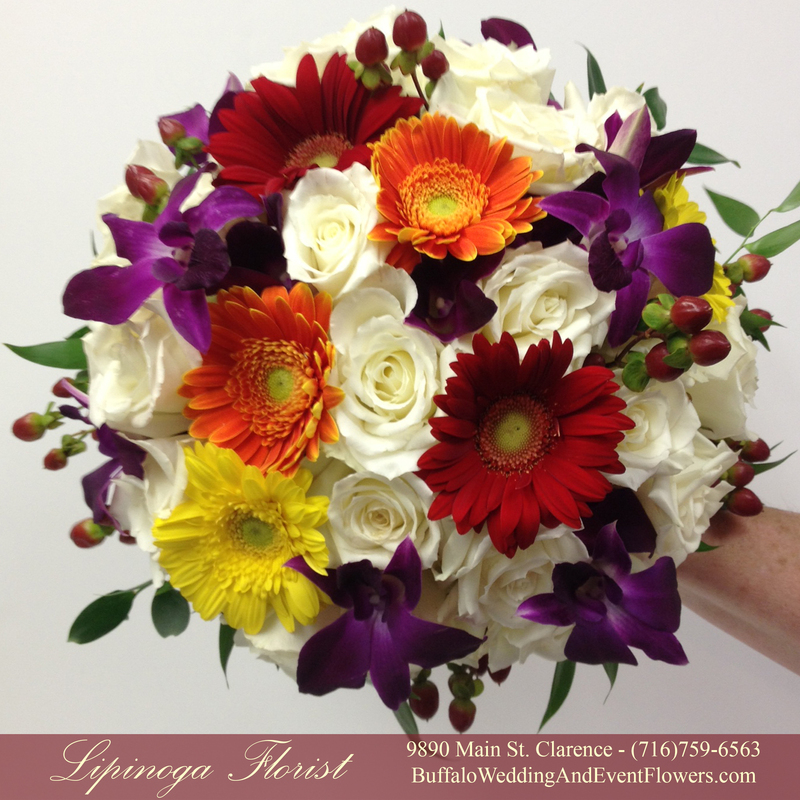 Buffalo is a beautiful location for an outdoor summer wedding and the combination of summer blooms enhanced the evening reception at Avanti Mansion. 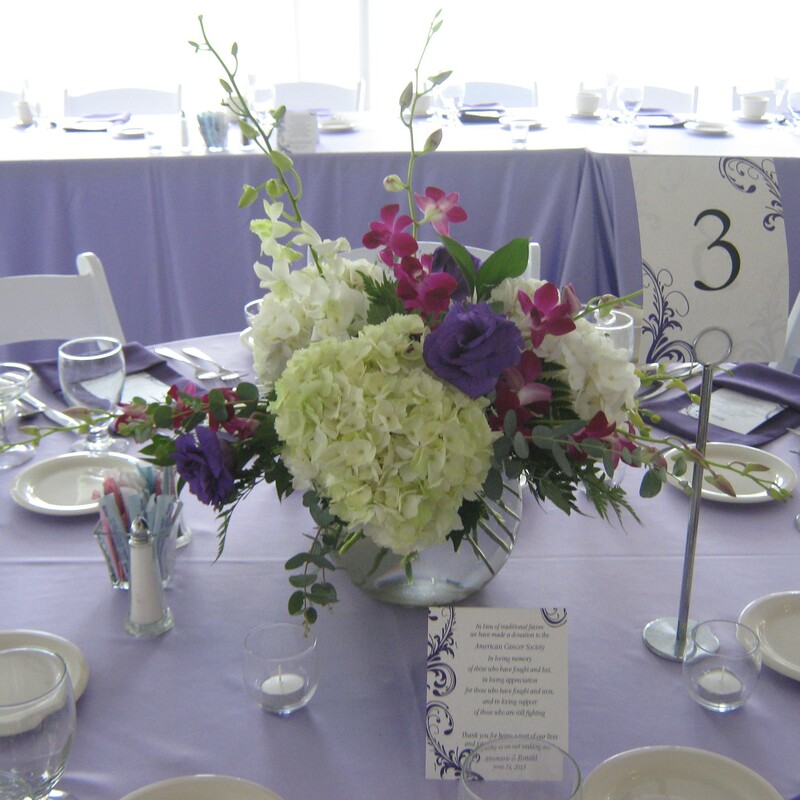 Our floral design team at Lipinoga Florist created a lavender and purple ambiance perfect for summertime entertaining. 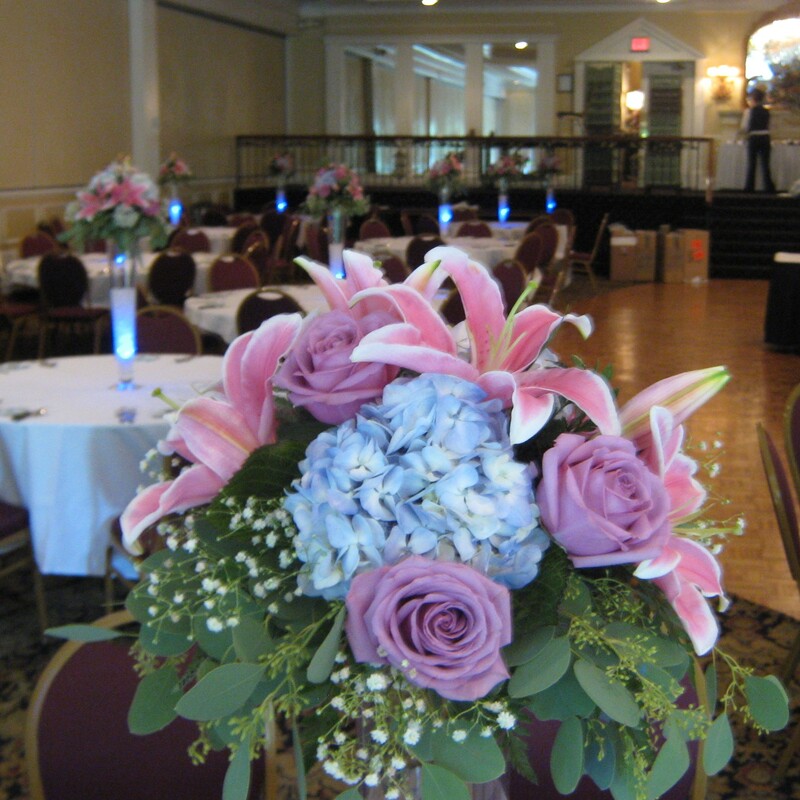 A pastel hued wedding held in the center room at Samuel’s Grand Manor in Williamville, NY featured a beautiful combination of roses, hydrangea, orchids and lilies in shades of lavender, blue, and pink. 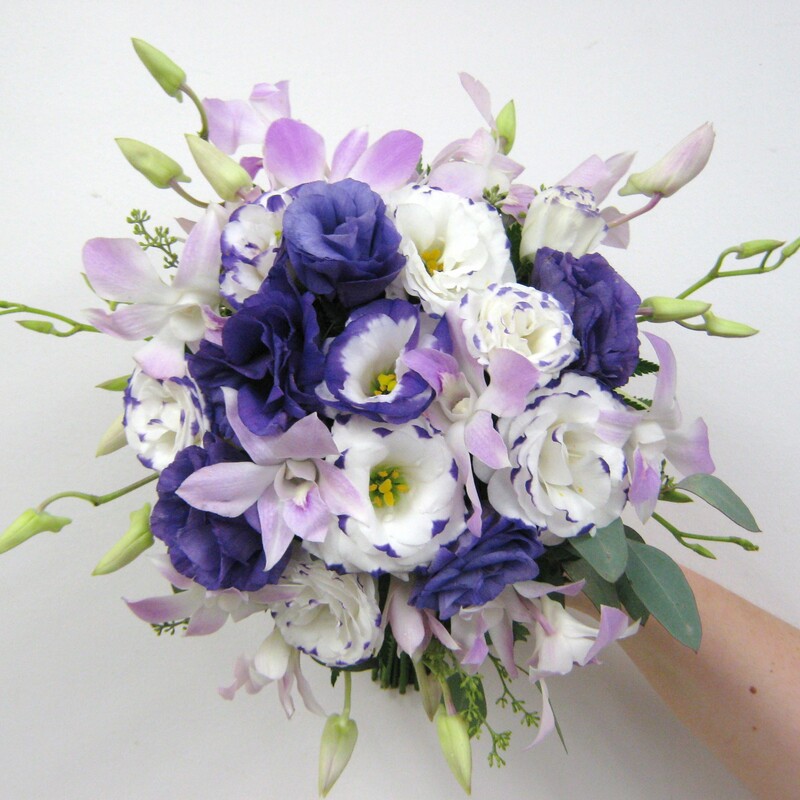 A cascading bridal bouquet of orchids, roses and lilies is predominately white with a touch of lavender to express classical bridal elegance. 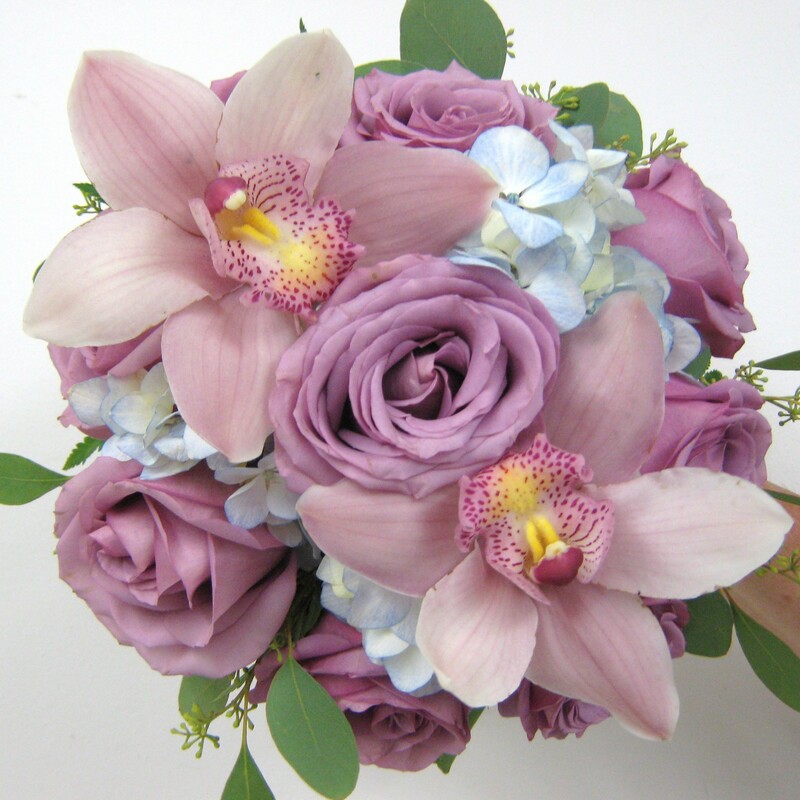 The bridesmaids carried bouquets of blue hydrangea, orchids and lavender roses. 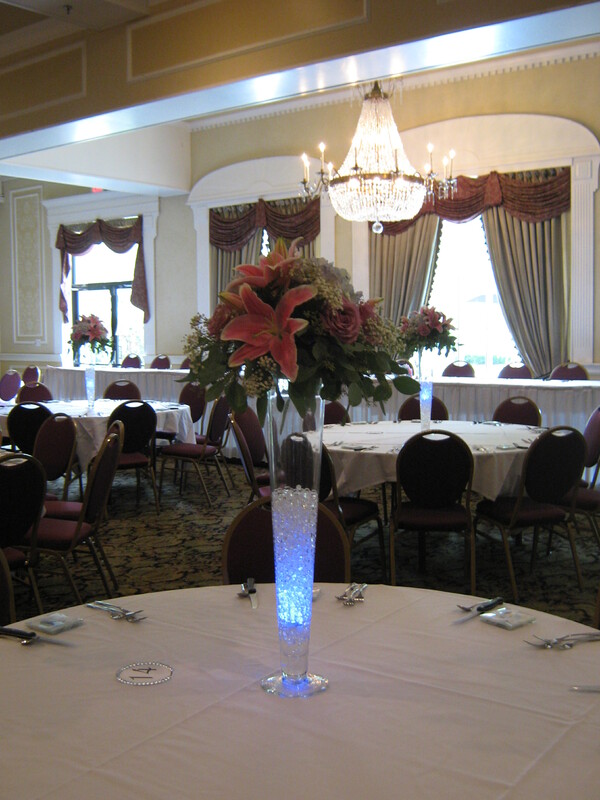 LED lights added a modern touch to the reception as well as a touch of blue. 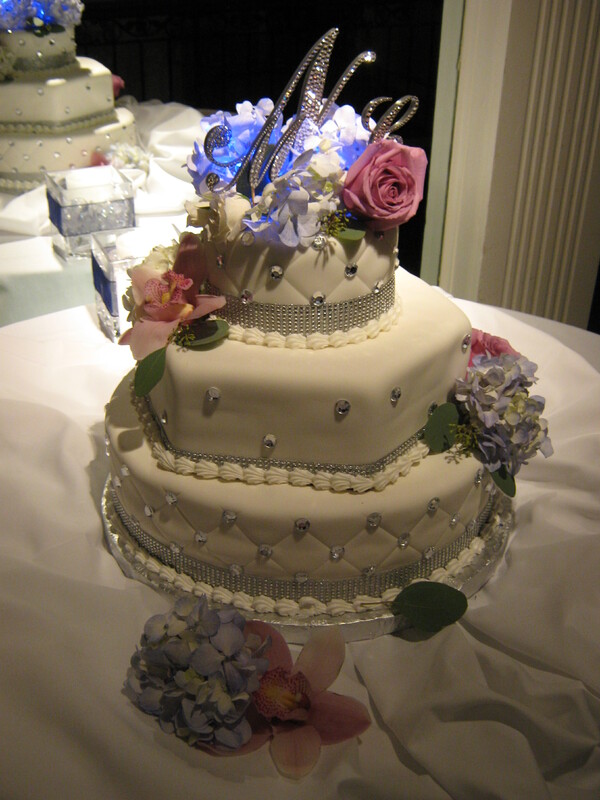 The lights and flowers accented the cake. 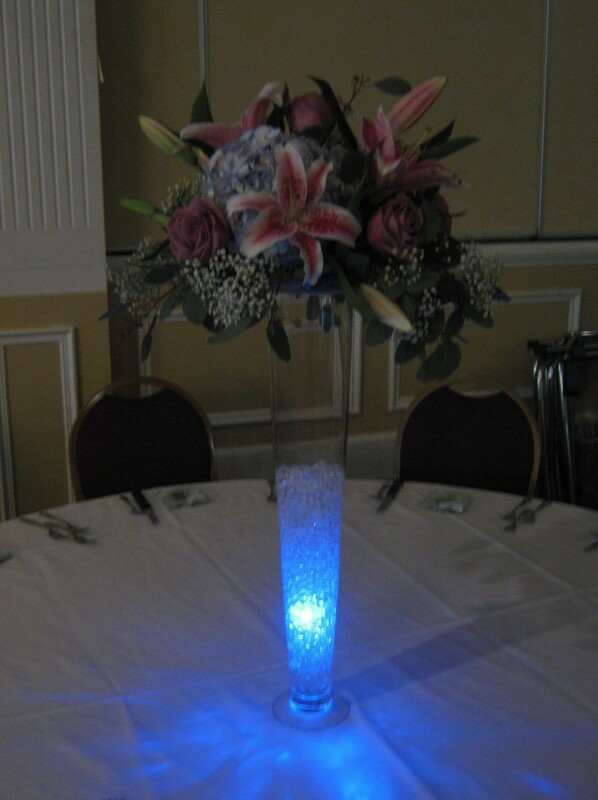 Pilsner vases(available for rent with centerpieces from Lipinoga Florist) held an arrangement of lilies, hydrangea, and roses, were accented by babies breath and an LED light in the vase.